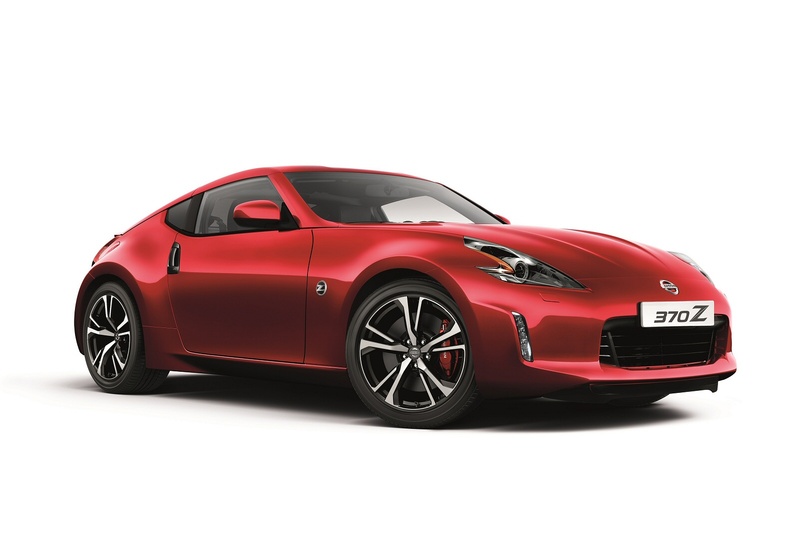 Fans of the original Nissan 350Z sportscar have taken to its 370Z replacement but to snare any remaining ones who haven't yet taken the plunge and broaden this model's appeal, Nissan has improved this enduring line-up. Minor exterior enhancements have smartened the styling but the most significant change is the addition of a new 'EXEDY' high-performance clutch that'll help enthusiastic owners to perfect their 'racing-style' downshifts. They'll like that. As before, there's a single coupe bodystyle and power comes from a 3.7-litre 328PS V6, plus there's still a 344PS Nismo model available at the top of trhe range if that's not enough. 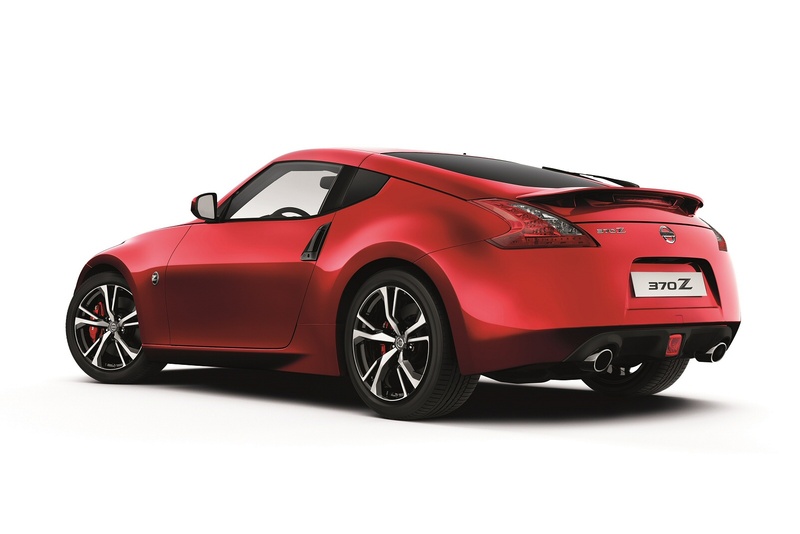 In short, the 370Z continues to prove that the sportscar you've always promised yourself doesn't have to cost you a lottery win. 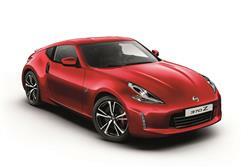 The 370Z's core component remains its 3.7-litre V6 engine. It's a development of the 350Z's 3.5-litre but 35% of its parts are completely different. The powerplant uses Nissan's VVEL variable valve timing technology which helps it achieve a smoother delivery of its 328PS maximum power output. Peak torque of 363Nm promises a muscular mid range and the 7,000rpm redline should please those who like a sports car which rewards a hefty right foot. If that's not enough, the top Nismo coupe model delivers 344PS from the same unit. Even in the standard version, that's good enough to see 62mph from rest dispatched in just 5.7s on the way to an artificially limited maximum of 155mph. The people who developed this car were petrolheads. Why else would they have spent five years in developing a Synchro Rev Control system that blips the throttle when you make a downchange to make you feel like Michael Schumacher? Or an optional seven-speed semi-automatic gearbox with gorgeous magnesium-crafted F1-style paddle shifters that on a clear day, makes a circuit of your local town centre one-way system feel like a lap of Monte Carlo. For this revsed model, Nissan has partnered with respected performance brand EXEDY to integrate a new high-performance clutch into manual versions of the 370Z. Perfecting the downshift, this reduces driver pedal effort and delivers even greater levels of gear change precision and comfort. And in summary? Well yes, this is a hi-tech stepping stone to Nissan GT-R supercar ownership. But no, its essential character hasn't been diluted: it's still a driver's car, pure and simple. The 370Z is still gorgeous. From the arrow-shaped headlamps to the boomerang-shaped tail lamps, there's a handsome aggression that marks this car out from its overtly style-conscious contemporaries. The front air-intake borrows its look from Nissan's GT-R supercar, giving this 370 greater malevolency as it looms in your mirrors with twin aerodynamic fins rising like fangs from its lower lip. Upgrades to this improved model include black door handles and a black rear bumper fascia. Dark-tinted headlamps and rear combination lights - previously only available on the NISMO model - are now standard, plus mainstream variants gain more distinctive 19-inch alloy wheels. Inside, things are much as before. The dash is upholstered in a leather-like surface called Sofilez that's tasteful in both look and feel and the leather seats fitted to most models have lovely suede-like inserts that not only look nice but stop you sliding around under hard cornering - though the seatbase is a little short. A number of the old 350Z's trademark features are still intact though, such as the instrument cluster attached to the steering column that moves as you adjust the driving position to guarantee an unhindered view of the dials. You'd expect the wheel to adjust for reach as well though on a £30,000 car. It's still a two-seater-only cabin and unlike, say, a Porsche 718 Cayman, there's a useful shelf behind the front seats where you can quickly sling a coat or jacket with a glovebox now at last added for smaller items. As for proper luggage space, the hefty strut brace across the old 350Z's parcel shelf that stopped you carrying a proper weekend's luggage for two has in this 370 been banished, freeing up a more usable 235-litres of space. Prices start at just over £29,000, which remains very good value for such a powerful sports coupe. There's a choice of base, GT and potent Nismo models and, in GT form, the option of a 7-speed auto gearbox as an alternative to the standard 6-speed manual. There's a £5,000 premium for the extra 16PS of the top Nismo model. All variants are well equipped. Even the entry level 370Z comes equipped with an Intelligent Key, plus an engine stop/start button, power adjustable seats, climate controlled air-conditioning, 18" alloy wheels, automatic xenon headlamps, curtain airbag, alarm, audio with auxiliary input and Bluetooth hands free phone connection. The GT version meanwhile, gets heated seats trimmed in black suede and leather, a six-CD Bose audio system with eight speakers, cruise control, speed limiter and Synchro Rev Control. 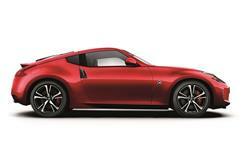 The 370Z is a car that lives to be driven hard and to do so will inevitably rack up some fairly hefty bills. Take fuel consumption as an example. Your Nissan dealer may well quote a combined figure in the region of 27mpg but you'll need to be some kind of feather-footed freak to match those figures. On one 'enthusiastically driven' test route, we saw an average of 13.2mpg come up on the calculator. Ouch. Likewise the 370Z, while mechanically rugged, has an appetite for rear tyres if you're the sort who likes to occasionally disable the electronic control systems. You'd expect insurance to be commensurate with a car that can reach 155mph and which will jet to 60mph in just over 5 seconds: expect a Group 46 rating. Industry monitors reckon the 370Z will retain around 54 per cent of its value after three years - a fair figure for a sports coupe although not in the Audi TT bracket. If you�re looking for a new Nissan 370Z 3.7 V6  3dr Petrol Coupe for sale, you�ve come to the right place. At Bristol Street Motors we don�t just have the best Nissan 370Z 3.7 V6  3dr Petrol Coupe deals, we also offer friendly advice and help with all your enquiries to ensure your buying experience is a happy experience.